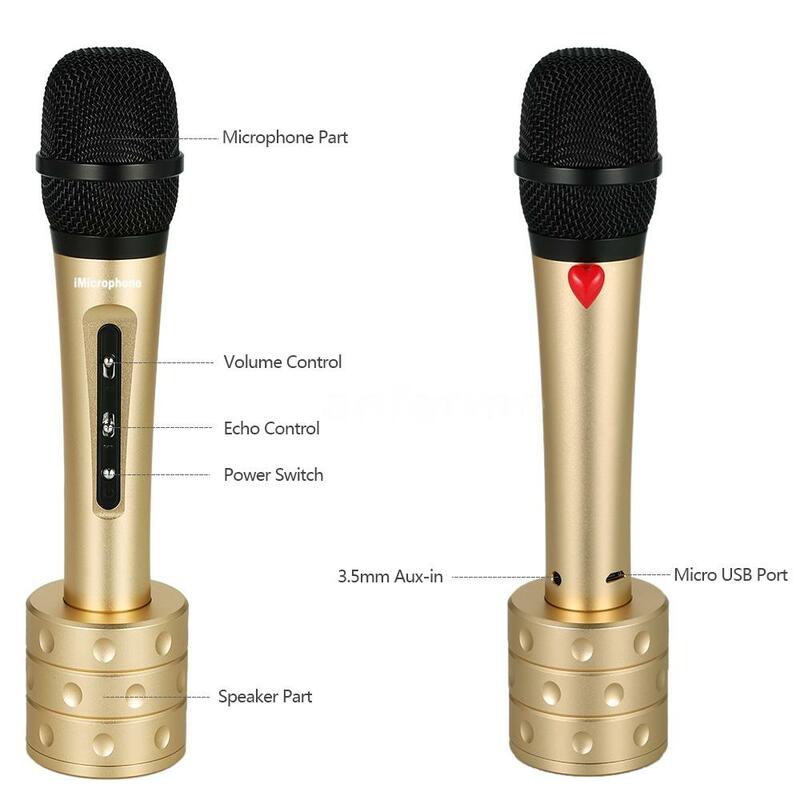 Wireless Bluetooth connection and cable connection are allowed. 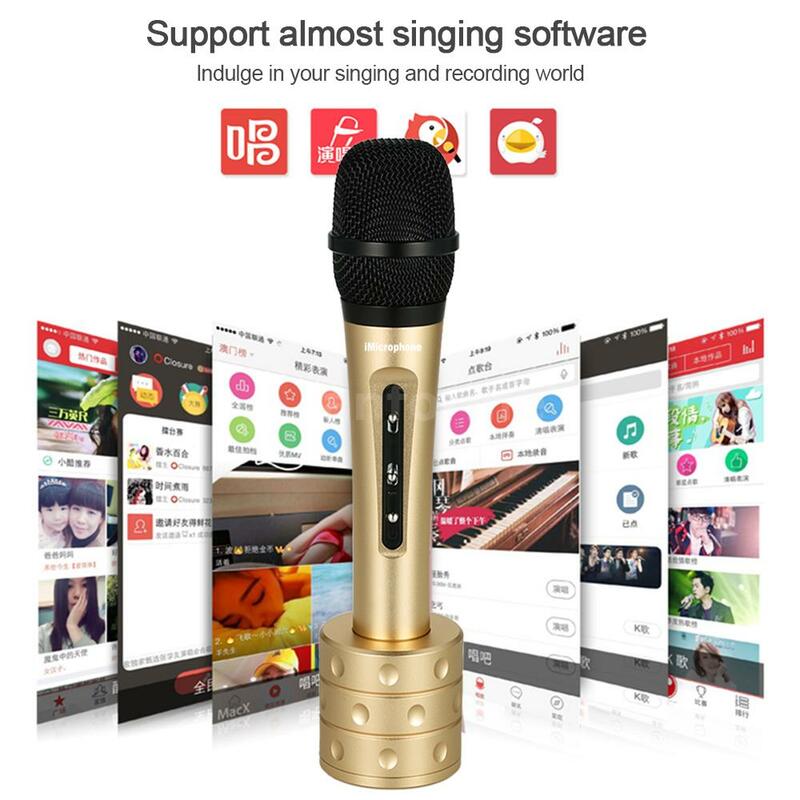 Download an APP which has karaoke function in your smart phones or digital devices. 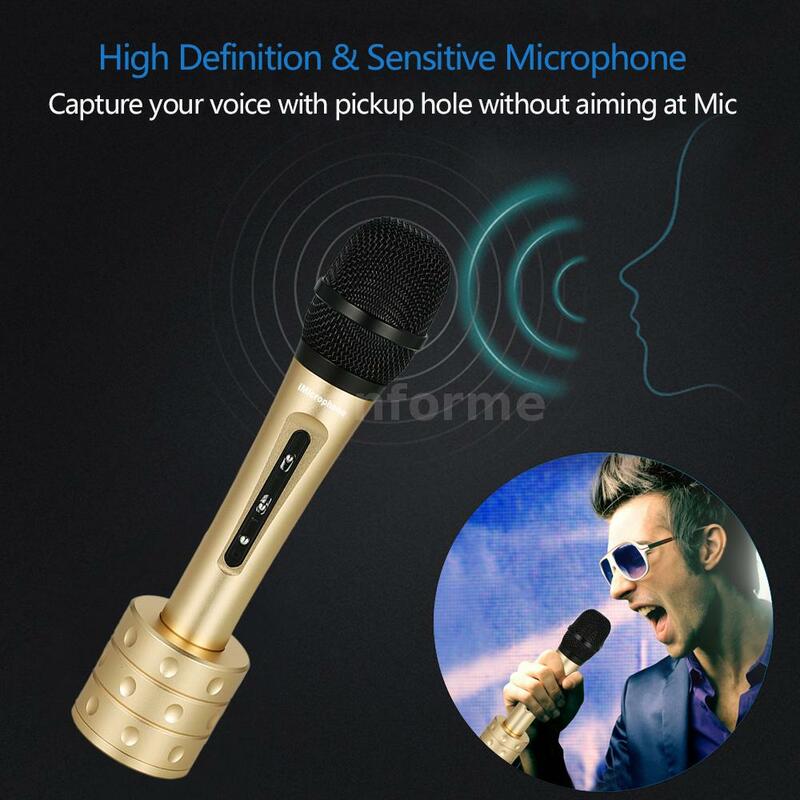 You can sing your favorite songs via Bluetooth function. 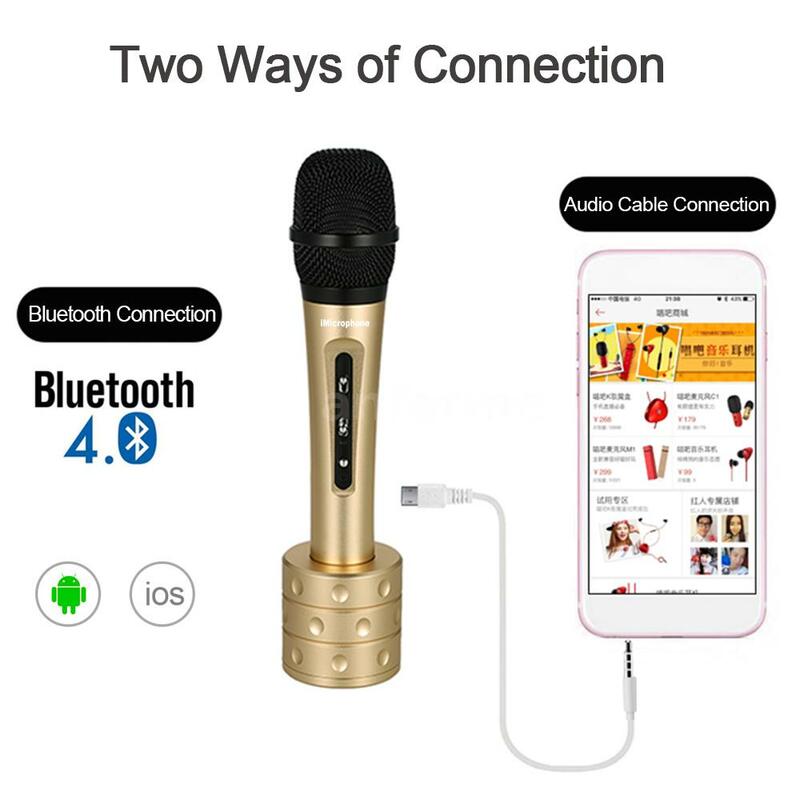 or you connect your phone with microphone via 3.5mm audio cable. 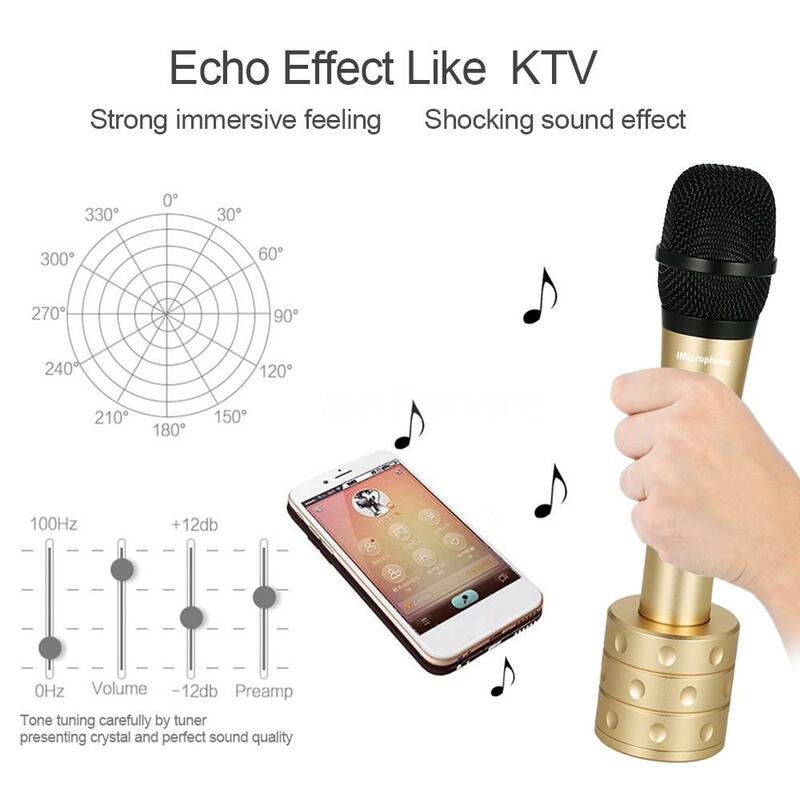 Echo and volume can be adjusted freely for best singing effect. 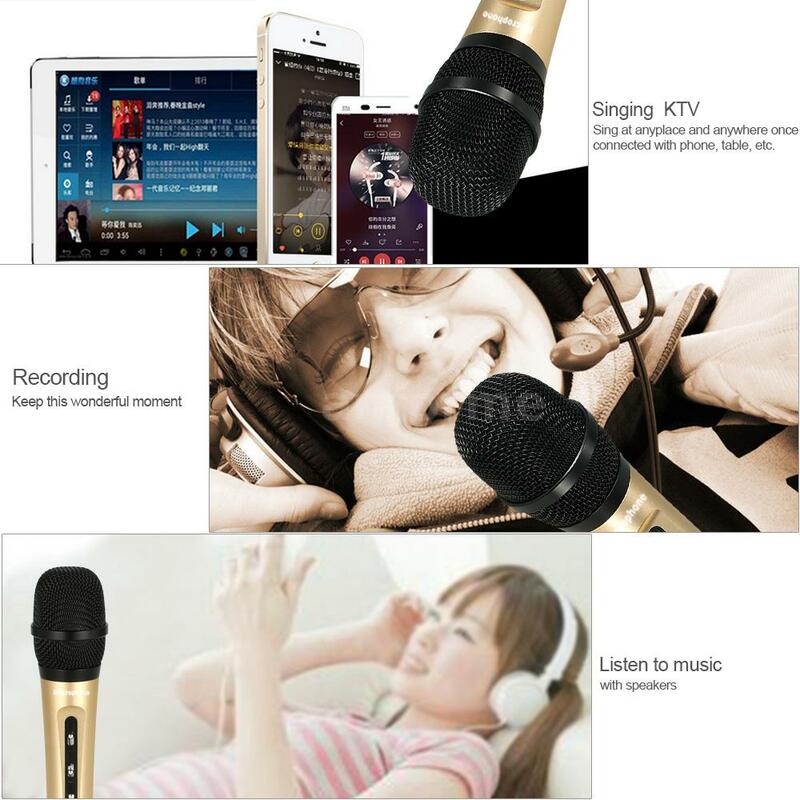 Echo effect is much like KTV, making you are personally on the karaoke scene. 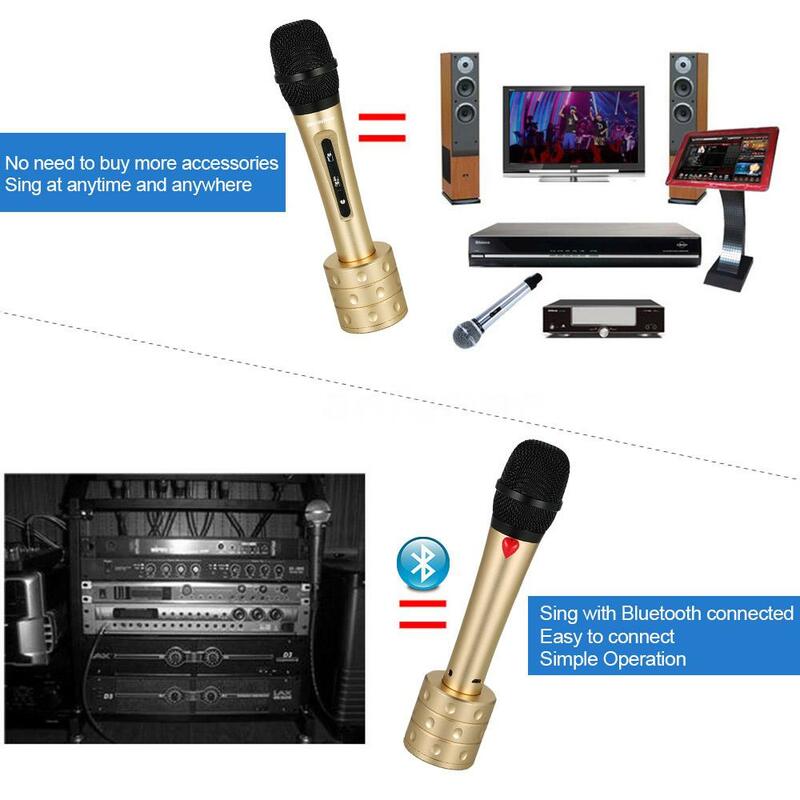 Greatly enjoy an audio feast with echo reverberation technology. 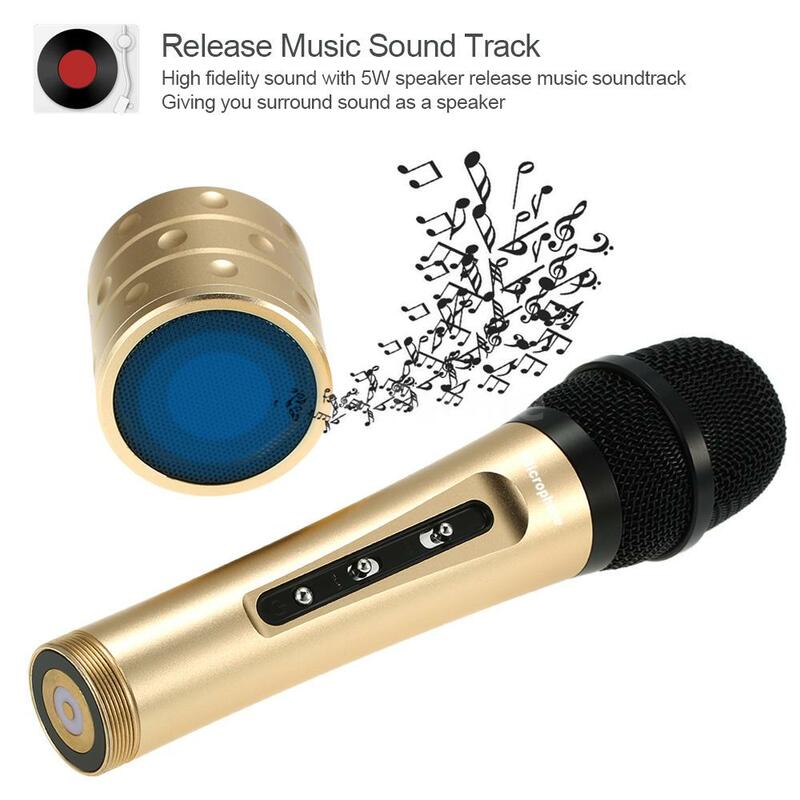 High fidelity sound release music soundtrack, giving you surround sound when listening to music as a speaker. 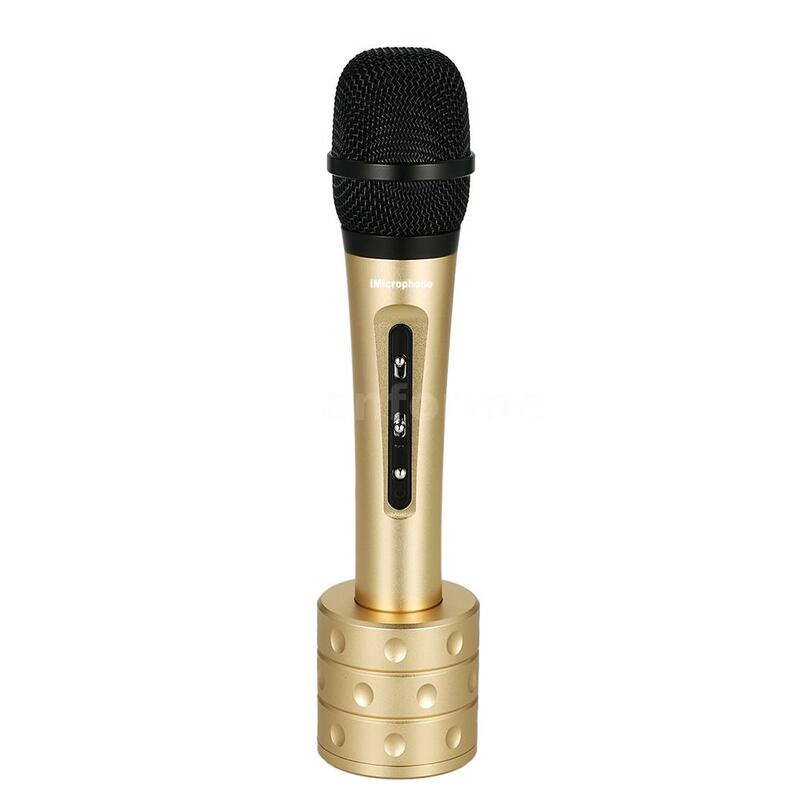 Made of aluminium magnesium metal, it’s drop resistant and you can sing at anytime and anywhere. 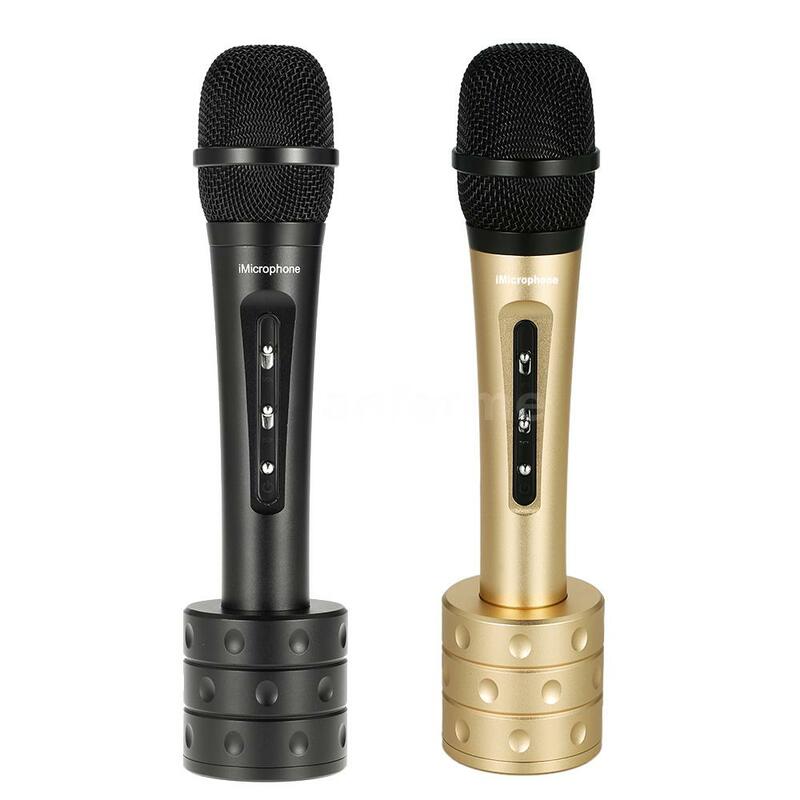 With built-in 1000 mAh battery, it offers 4-5 hours of using time. 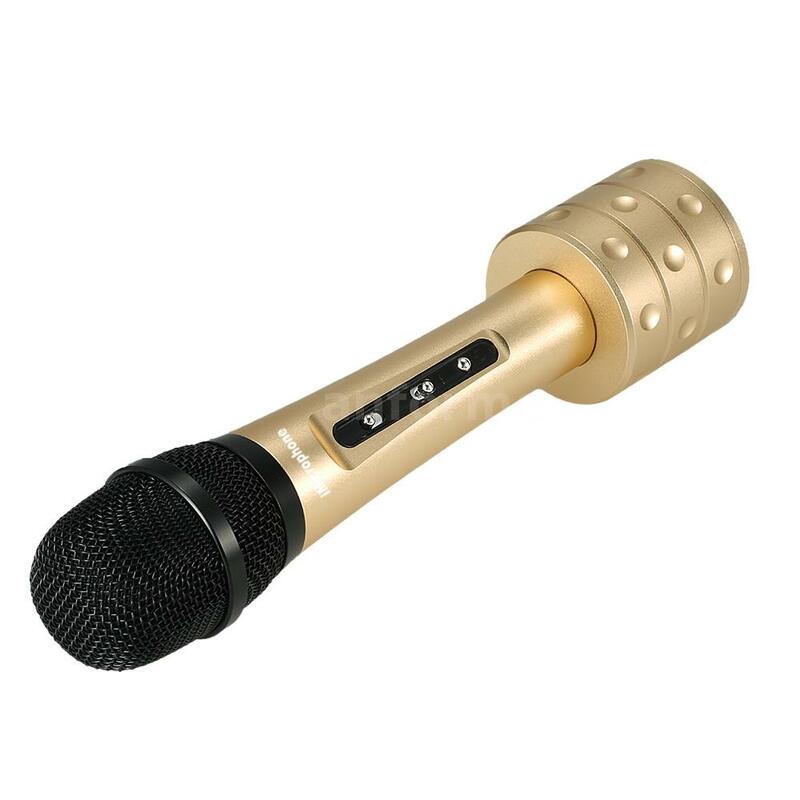 No need to buy more accessories and simple operation which favors by people who practice singing, recording, etc. 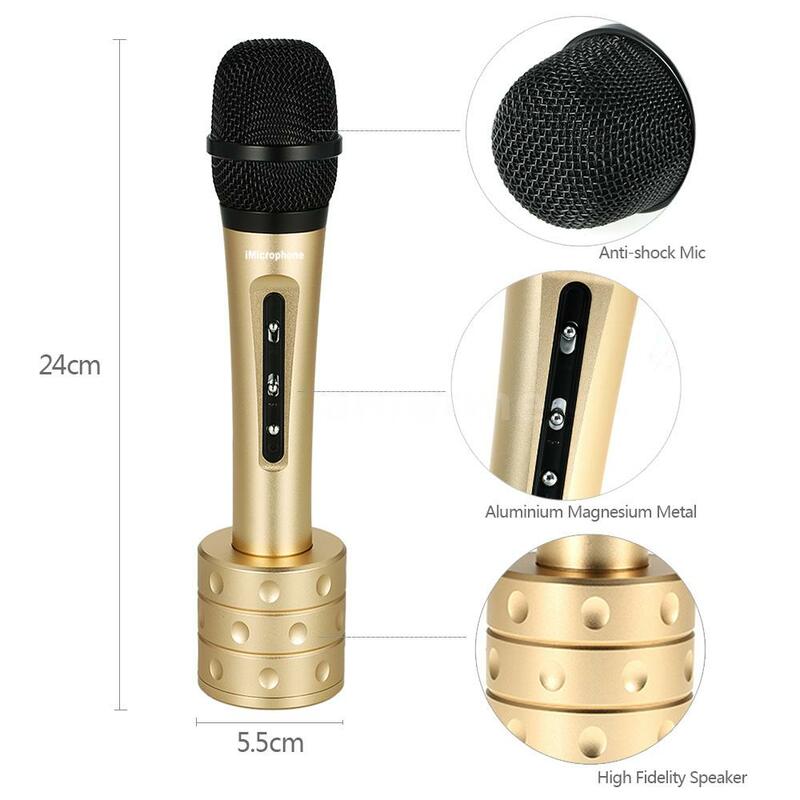 Easy and convenient in your daily life.